Red meat is believed to be unhealthy for the heart. However, as per the results of a recent study, lean red meat might not be as unhealthy. These days, you never read social media posts or hear cocktail-party chatter in which people rave about their balanced, omnivorous diet. Instead, everyone seems to be following some sort of restrictive diet, whether low-carb, intermittent fasting or vegan/vegetarian. Red meat is about as popular as sugar. But that need not be the case, according to a recent, randomized, controlled trial. The earliest studies finding health benefits in the Mediterranean-style diet - which is predominantly plant-based and uses olive oil as the main source of fat - had been conducted with coastal Greeks, who eat little red meat. Later positive Mediterranean diet studies from Spain, where red meat consumption is higher, intrigued researchers at Purdue University and the University of Texas. They decided to focus on heart-risk outcomes of subjects consuming different amounts of lean, unprocessed red meat while otherwise following a healthy Mediterranean diet. The paper was registered at ClinicalTrials.gov and published in the American Journal of Clinical Nutrition. The Purdue-Texas team gathered 41 overweight or obese adults who were not following a Mediterranean diet and put them on such a diet that also included either 500 grams of lean red meat a week or 200 grams. The subjects followed each diet for five weeks, then switched to a four-week "washout period" when they ate a self-selected diet and then switched to the other red-meat Mediterranean approach. 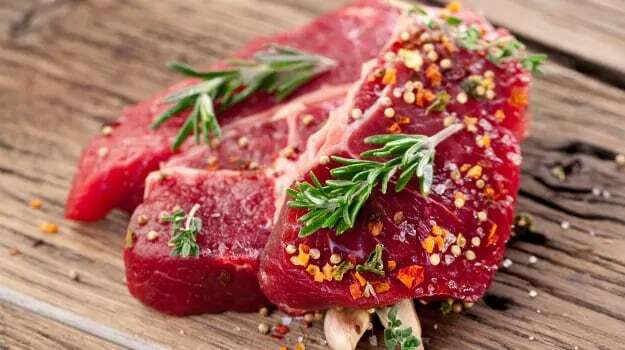 Red Meat And White Meat: What Is The Difference And Which One Is Better? Meat is rich in high-quality protein that is the standard source for human consumption. Read here to know the difference between red meat and white meat and how the two are beneficial for you. Health experts have long established saturated fats found in red meat as one major cause of heart disease. Both diets averaged about 2,600 calories per day, with 42 percent from carbohydrates, 18 percent from protein and 42 percent from fats. The researchers didn't know who was on which diet when (that is, they were "blinded" to the subjects' diets). The two dietary approaches did not differ in their effect on high-density lipoproteins, triglycerides, insulin or glucose. 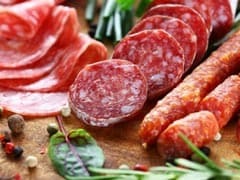 Contrary to what many may have expected, the results showed slightly greater weight loss during the higher red-meat phase, as well as greater lowering of harmful low-density lipoproteins. 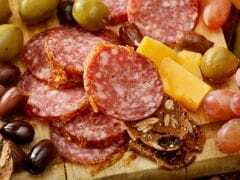 The researchers concluded: "Adults who are overweight or moderately obese may improve multiple cardiometabolic disease risk factors by adapting a Mediterranean-style eating pattern with red meats [that] are lean and unprocessed." No one's arguing for fat-marbled meats, processed meats or meats chargrilled to a crisp on the barbecue. These carry known health harms. But modest amounts of lean, unprocessed red meat don't appear to have major health risks. At least not if consumed within a Mediterranean diet framework that includes lots of fruit, vegetables, whole grains, fish and olive oil. "Our research supports previous evidence which shows that unprocessed and/or lean red meat does not increase the risk of cardiovascular disease," the Purdue-Texas researchers conclude. Their work was partially funded by the beef and pork industries, which had no influence on the study design, analysis or reporting. Many nutritionists believe that balanced diets offer the optimal long-term potential. After all, restrictive weight-loss diets have been shown to produce results for roughly six months, but then the pounds begin creeping back. It may be smarter to practice portion-control with a full and varied range of foods.